Thanks to Peter Butler for these two great photos and description of the Wereboldera bridge opening in 1918. 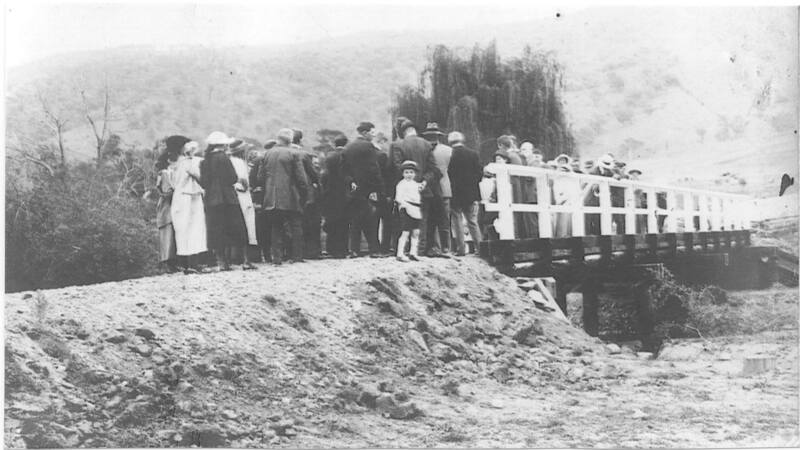 Opening of the Weraboldera (Suttons) Bridge on the Gilmore Creek. Wednesday, October 9, 1918. 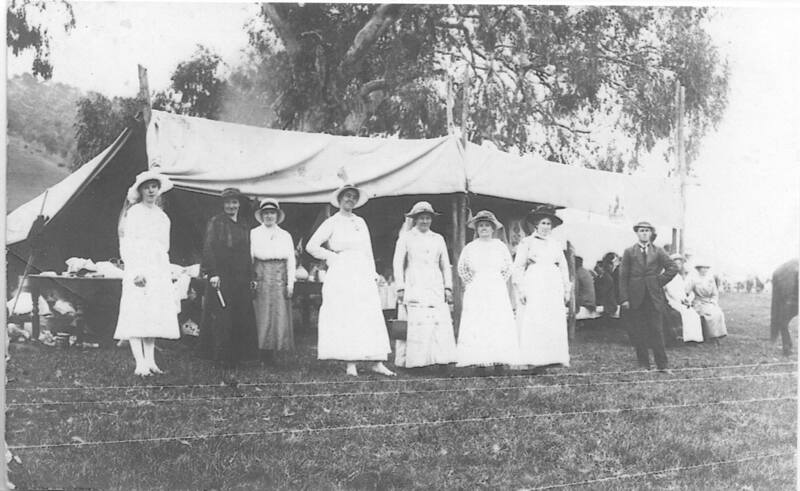 Photo from the collection of the late Jean Jamieson. Butler Collection.